That's a bad Brady pick. Could see that one coming all the way. Still Patriots ball, but McCourty ruled down by contact at the 23. Holding penalty eliminated bc it happened after he was down. Of course, Ed. Just stop talking. McCourty's INT is being reviewed. He might have been down by contact. Ruling on the field was he brought it back 40 yards. "Low" by Flo Rida is the only acceptable choice for "Pick the Playlist." I don't know what the other option is but I know it doesn't matter. Fourth TD catch in four games for Malcolm Mitchell. #Patriots lead 16-0. 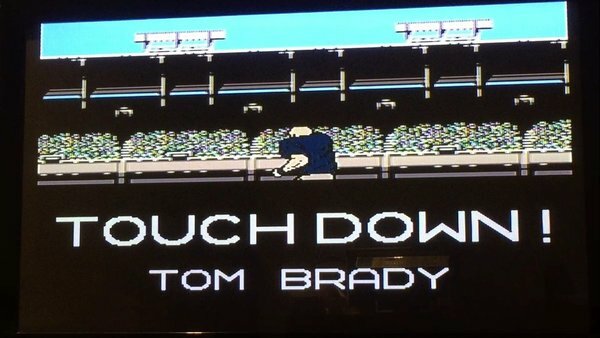 Gostkowski PAT is good, and Patriots take a 16-0 lead with 9:28 left 2Q. Drive: 8 plays, 89 yards in 3:27. Brady finds Mitchell for 6-yard TD, his first catch of the night. #Patriots 15-0 with 9:28 left in half. Patriots OL is getting great push against this Ravens' DL. Jones has to be trusted to return punts. Edelman too valuable. 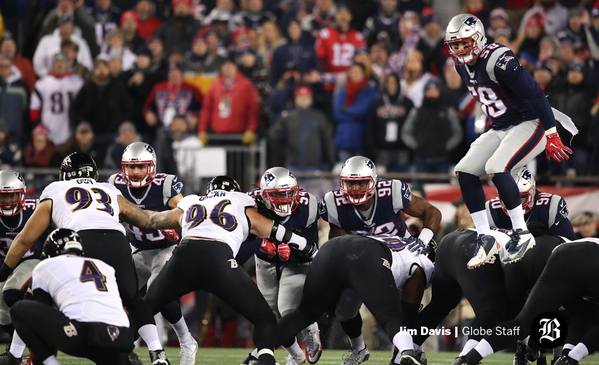 Shea McClellin leaping the line to block Justin Tucker's field goal. Blount has five carries so far. Four of them came on that last drive. Jimmy Smith carted off, Brady may throw it 55 times now.